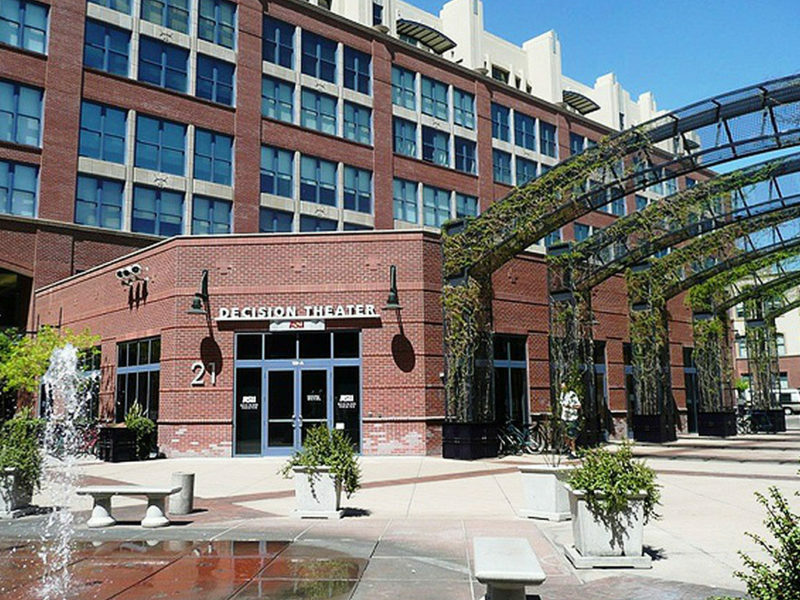 The Decision Theater at Arizona State University is an 8,000-square-foot visualization environment that accommodates up to 30 participants. 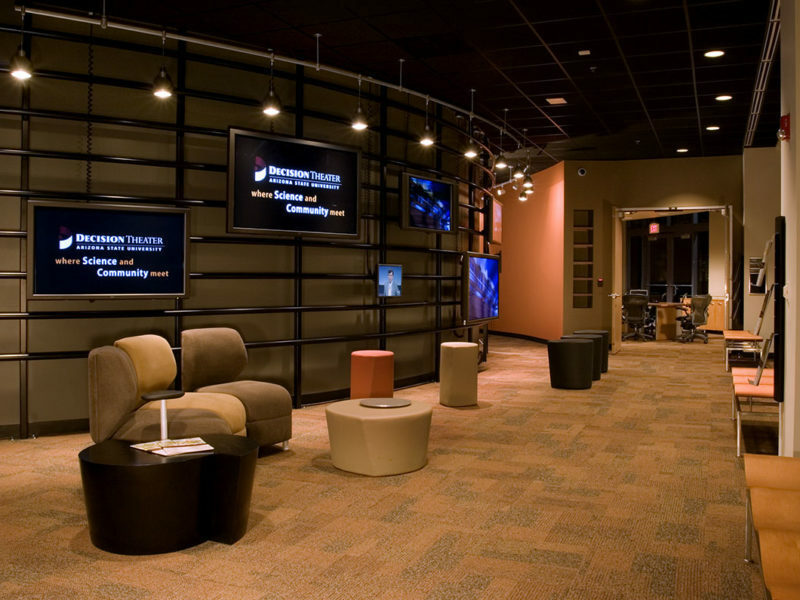 The core component of the Decision Theater is the ‘drum’ comprising a 260-degree faceted screen, seven rear-projection passive stereo sources, tracking devices and surround sound. This enables data to be displayed and interacted with in a panoramic setting using 2D or 3D stereoscopic video. 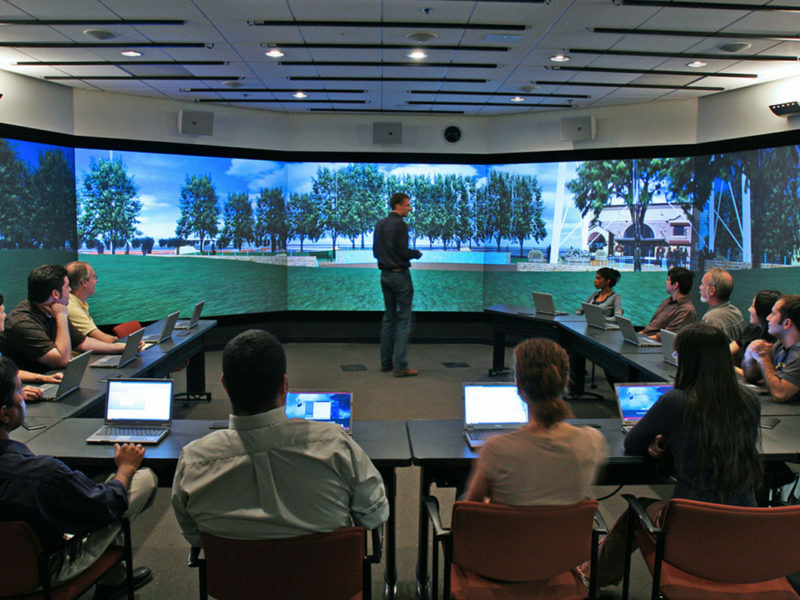 Unlike some visualization labs and flat-wall display facilities, the Decision Theater is an immersive environment designed for collaboration. Participants are often arranged in a conference configuration to improve human engagement with each other and to interact with the visual information around them. They can take advantage of a variety of tools to improve decision making including 3D and geospatial visualization, simulation models, system dynamics, and computer-assisted tools for collecting participant input and collaboration. They also have access to the university’s ongoing research in policy informatics, design, geography, computational science, business, psychology and mathematics. The facility is also used by federal, state and local government agencies, community planners and policy makers in business to address complex problems ranging from hyper growth, and water resource management to disease monitoring. These fall into four domains: Urban growth, Public health, Education, and Environment. 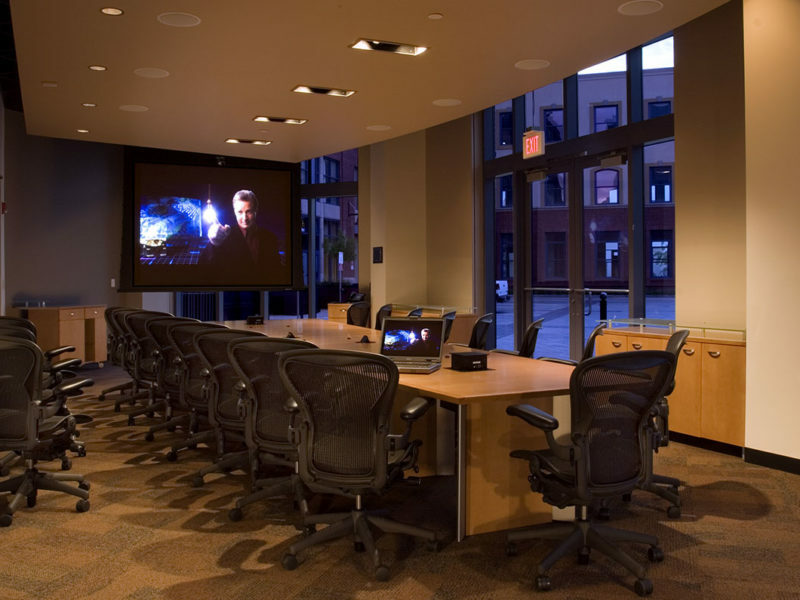 TPI was hired to provide audiovisual technology for the entire facility to include the 3D stereoscopic drum, the lobby, and ancillary conference rooms.